So I’m going to share with you not one but 8 variety of lettuce wrap ideas, which are light, fresh, crunchy, nutritious and bursting with flavours. All these recipes are less than 100 calories and make the perfect summer snack. 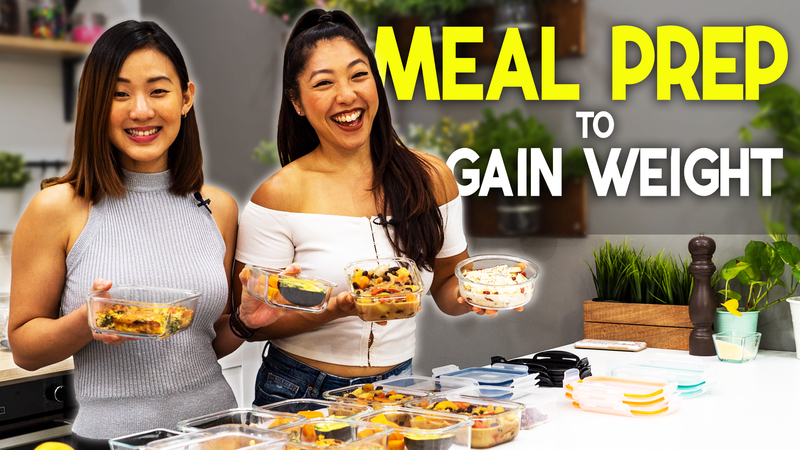 They are extremely simple and quick to put together, so be sure to watch till the end of the video. Let’s start cooking! Chicken & Mango Salsa makes the perfect combination as a light & refreshing starter. **Choose to grill, bake or lightly pan-fry the chicken breasts. 1) In a small bowl, combine lime juice, sesame oil and honey. Set aside. 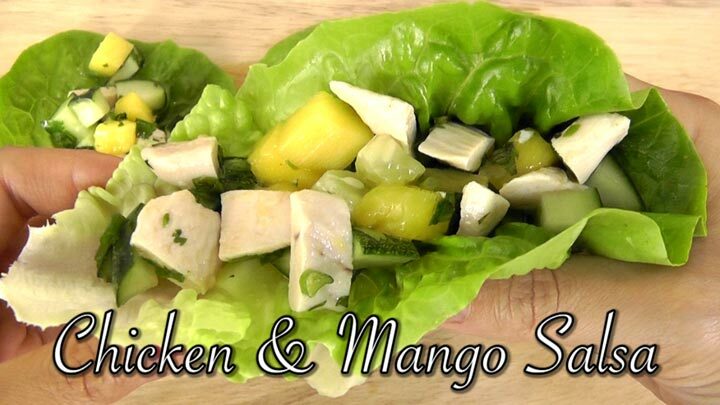 2) In a large bowl, add chicken breast cubes, mango, cucumber, spring onion and coriander. Combine well. 3) Toss in the dressing and mix until evenly coated. 4) To assemble, spoon generous amount of chicken and mango salsa mixture onto lettuce leaves and serve. You get sweetness from the mango and crunchiness from the cucumber. So refreshing and light! Next is a combination of beans & sweet potato. Absolutely yummy and great for vegans. 1) In a small bowl, combine lime juice, olive oil, cumin and smoked paprika. Set aside. 2) In a large bowl, add black beans, sweet potatoes, red onion and coriander. Combine well. 3) Toss in the dressing and season with salt and pepper. Mix until evenly coated. 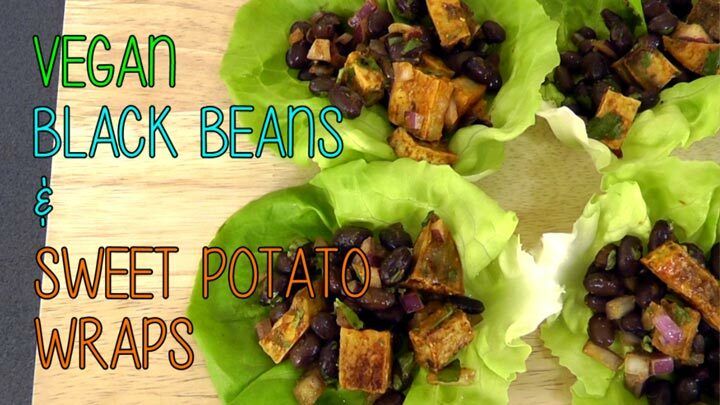 4) To serve, spoon generous amount of black beans & sweet potato mixture onto lettuce leaves. 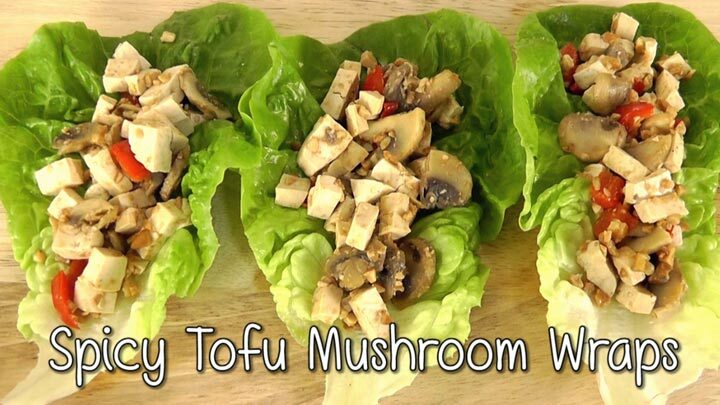 If you’re vegan and you enjoy Asian flavours, then make this Spicy Tofu Mushroom Lettuce Wraps. 1) In a small bowl, combine soy sauce, lime juice and water. Set aside. 2) Heat sesame oil over medium-high heat. Add mushroom and cook for 2 – 3 minutes under slightly tender. 3) Add tofu and sear until lightly brown for about 2 – 3 minutes on each side. 4) Next, toss in red bell pepper, chilli and cashew nuts. Cook very quickly for about 1 minute and stir in the soy sauce mixture. 5) Continue cooking for another 2 – 3 minutes until sauce has reduced slightly. Remove from heat and allow it to cool down. 6) To serve, spoon generous amount of tofu mixture onto lettuce leaves and sprinkle with coriander. Tofu is a great source of protein for vegans and mushroom is packed with Vitamin D. The hint of chilli adds a nice twist to the dish. 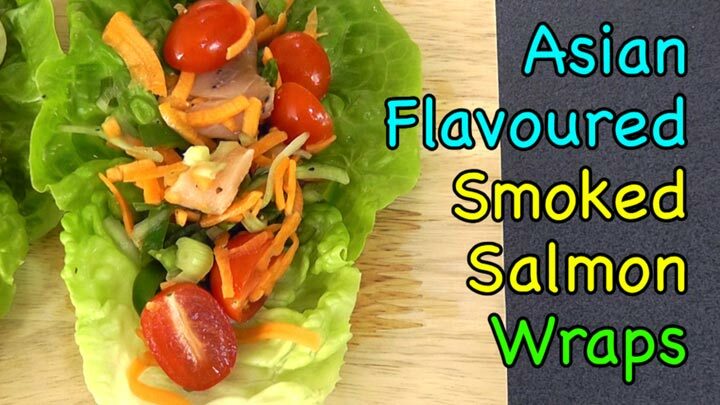 Next is another Asian flavoured lettuce wrap with my all time favourite protein, smoked salmon. 1) In a bowl, combine spring onions, jalapenos, lime juice, fish sauce and honey. Allow the ingredient to marinate 15 minutes at room temperate. 2) In a large bowl, add smoked salmon, carrots, cucumber and cherry tomatoes. Combine well. 4) To assemble, spoon generous amount of smoked salmon mixture onto lettuce leaves and serve. No cooking is required for this, so this makes a nutritious and convenient dish. 5th yummy lettuce wrap is Creamy Tuna & Corn. 1) In a small bowl, combine yoghurt and lemon juice. Set aside. 2) In a large bowl, add tuna chunks, corns, red bell pepper, olives and spring onion. Combine well. 3) Toss in the dressing and season with salt & pepper. Mix until evenly coated. 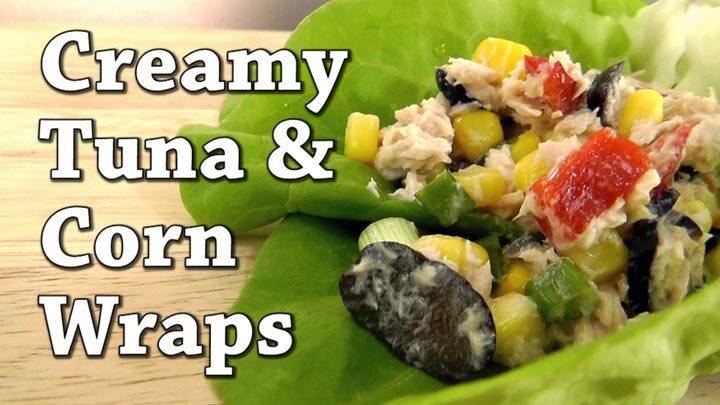 4) To assemble, spoon generous amount of tuna and corn mixture onto lettuce leaves and serve. The simple combination of tuna and corn can never go wrong and the natural creaminess of yoghurt brings this dish together. 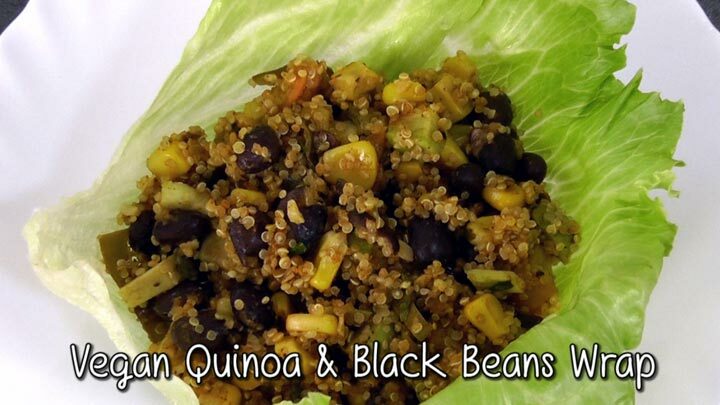 Next is a Mexican inspired Vegan Quinoa & Black Bean wrap. This dish is so colourful, it’s bursting with flavours and extremely easy to make; even the quinoa is cooked right in the pan! 1) In a pan, heat olive oil over medium-high heat. 2) Add garlic and jalapenos. Cook until fragrant for about 1 minute. 3) Stir in quinoa, water, black beans, tomatoes, corn, chili powder and cumin; season with salt and pepper. 4) Bring to a boil; cover, reduce heat and simmer until quinoa is cooked through. This will take about 12 – 15 minutes. 5) Once quinoa is cooked, turn off the heat and stir in the avocado, lime juice and coriander. Remove from heat and allow it to cool down slightly. 6) To assemble, spoon generous amount of quinoa mixture onto lettuce leaves and serve. This dish is bursting with so many amazing flavours, from the hint of spice from the chilli powder and jalapeno, creaminess from the avocado, cooked with quinoa, one of the world’s healthiest foods. So so good! Well if you have tried my egg and avocado breakfast, let’s take it a notch up and make this yummy Garlic Shrimp & Egg with Avocado Lettuce Wrap. 1) In a pan, heat olive oil over medium heat. 2) Add garlic and toss very quickly for about 1 minute until fragrant and lightly brown. 3) Then toss in the shrimps and cook for about 2 – 3 minutes until shrimps are just pink on both side. Do not over cook or they’ll be dry and hard. 4) Set aside and allow shrimps to cool down slightly. 5) In a large bowl, add shrimps, eggs and mashed avocado. Season with salt & pepper. Combine well. 6) To serve, spoon generous amount of shrimp and egg mixture onto lettuce leaves. 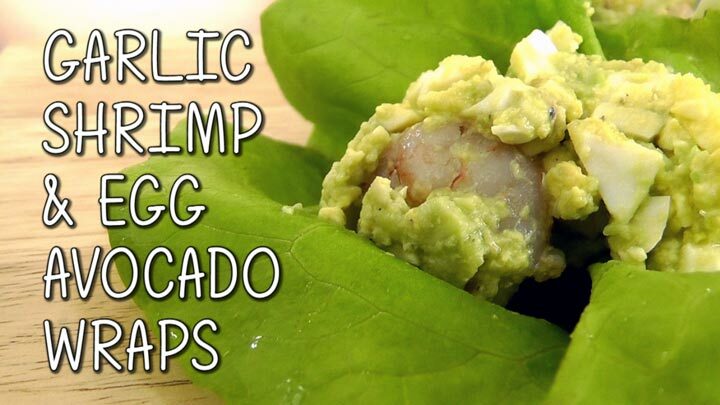 I love garlic shrimp, and that mixed with eggs and the natural creaminess of the avocado is just a perfect match. You have to try it! And finally, it has to be a bite of refreshing Tropical Fruit Salad. *Options: raisins, currants, or dates. 1) To make the dressing, combine yoghurt and lemon juice. Set aside. 2) In a large bowl, add cherry tomatoes, green apple, kiwi, pineapple, dried cranberries, and cashew nuts. Combine well. 4) Spoon generous amount of fruit mixture onto lettuce leaves and serve. All these lettuce wrap fillings can be served immediately after cooking or chilled. You can store the leftover filling in the fridge and it will last up to 3 days. They are wonderfully light, nutritious and absolutely delicious. I made 8 variations for you, so that you can make one day. 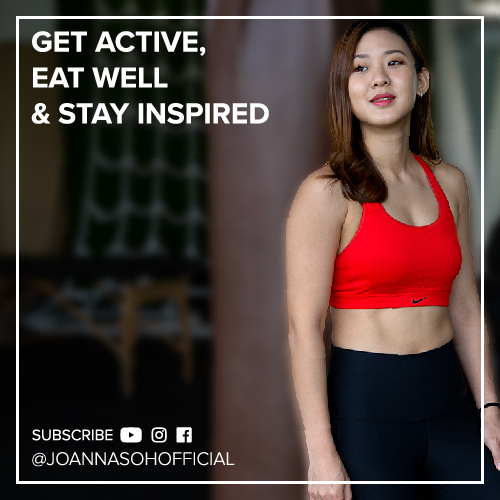 Have this as your snack, starter or even as a main meal. 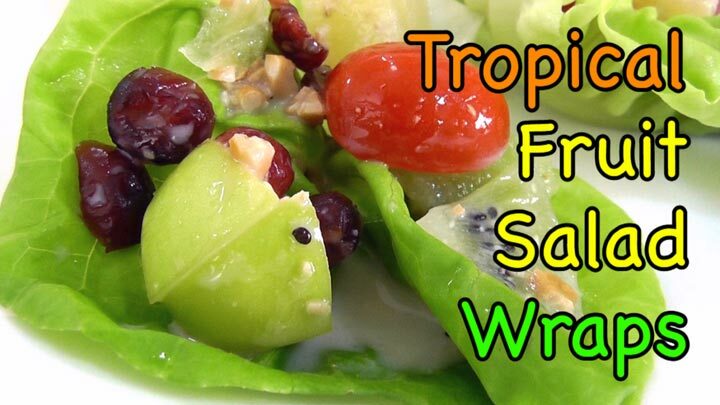 Lettuce wrap is a great way to add more greens into your diet. Try them out, make them for your family and friends and let me know which is your favourite in the comments below. All the best!